Ran qPCR on new p16RK7 plasmid curve. 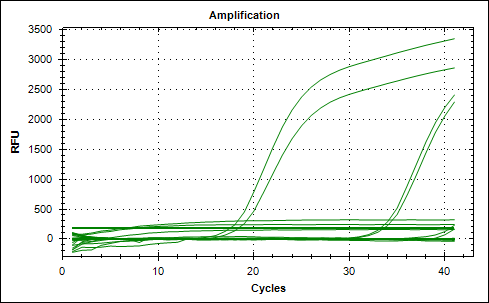 Prepared dilutions of linearized p16RK7 for use as new qPCR standard curve for the withering syndrome qPCR assay. Calculations were performed using a spreadsheet set up by Nate. Performed restriction digest using NcoI. Reactions were run for 1hr @ 37C and then heat inactivated @ 65C for 20mins. After inactivation, 5uL from each reaction were run on a 1% TBE gel to confirm digestion. 1uL of undigested plasmid was run along side the digest. Testing out new stocks of primers and probe received this week. Stocks (and working stocks) will be made with different batches of low TE and PCR water than what we have been using in the hood. Will use the RLO p16RK7 plasmid curve from 20120731. Master mix calcs are here. Still troubleshooting, as Lisa nor I, have had any luck to-date getting this back on track. Here I am testing out additional curves from 20120731 to determine if it is solely the p16RK7 curve (the one that we’ve used for all of the qPCR assay validation) is the problem. Master mix calcs are here. Since yesterday’s comparison of thermal cyclers yielded identical results, it’s clear that the machine is not the issue. I’m repeating yesterday’s qPCR, but using the aliquots of reagents from Lisa that I used on DATE. Additionally, I’m checking a fresh, separate dilution of the RLO plasmid curve (p16RK7 from 20120731) that Lisa made last week. Master mix is the same as yesterday. Due to recent problems with the RLO qPCR assay experienced by both Lisa and me, I am going to run the same master mix on both the machines mentioned above to evaluate whether the Friedman Lab CFX96 is the cause of our recent problems with this assay. Ran the RLO plasmid curve (p16RK7 from 20120731), each sample in duplicate. Master mix calcs are here. 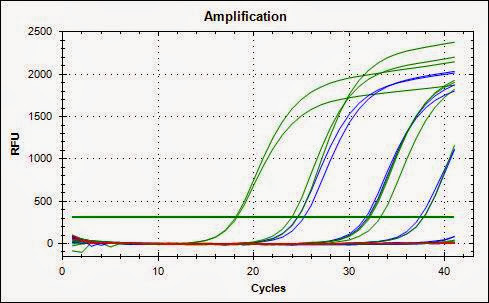 Lisa has recently been running the abalone RLO qPCR assay and it her standard curve has looked fine. Set up with her working stocks of reagents of Lisa’s. Ran the RLO plasmid standard curve (p16RK7 from 20120731). Master mix calcs are here.